You could say that our house is a bit book obsessed. I try and get Lucille to "downsize" her bookshelves and it never happens. She can't get rid of them, or Gus loves that story too much, or it is a story I remember from when I was a kid and I can't give it away. So the shelves just keep growing. We use our library so much - to try out books I've seen on other blogs or read about in a magazine or something - probably going to the library every other week or so. And then, of course, I just can't pass up a good book deal on Amazon. 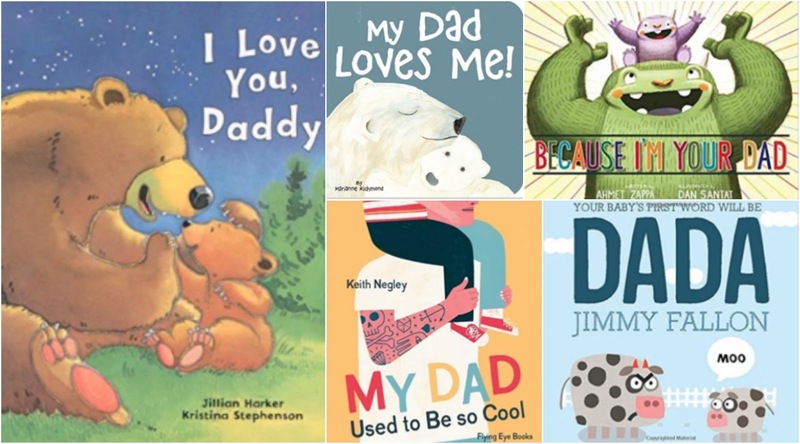 And since I've seen a handful of cute and funny daddy-themed books lately - I thought I'd share them with you. Books are always a great gift and a great way for the kids to get some daddy time. 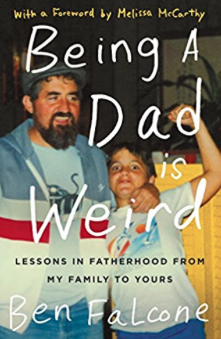 Because I'm Your Dad is written by Frank Zappa's son Ahmet Zappa and My Dad Used to Be So Cool is written by an amazing illustrator, Keith Negley. Both look pretty cool. Gus loved the book Your Baby's First Word Will Be DADA written by Jimmy Fallon. We kept it in the car and he would just flip the pages going "Dada, Dada, Dada..." maybe from the time he could talk, until he was about two. It was adorable.